It has been a family affair since the beginning – a dream shared by father and son. They buy an old building on Hertel Ave., fix it up, and begin a journey that will last decades. The father and son are Tom Sr. and Jr. and they call their restaurant Lombardo’s. Over the years the food, the look and some of the people have changed. They’ve even added another Tom. 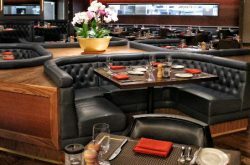 What has not change is their devotion to their customers, and their goal to create the best possible dining experience. Set back a bit from the edge of Hertel Ave, Ristorante Lombardo is nondescript from the street. Most visible is a patio for outdoor dining and a front door. 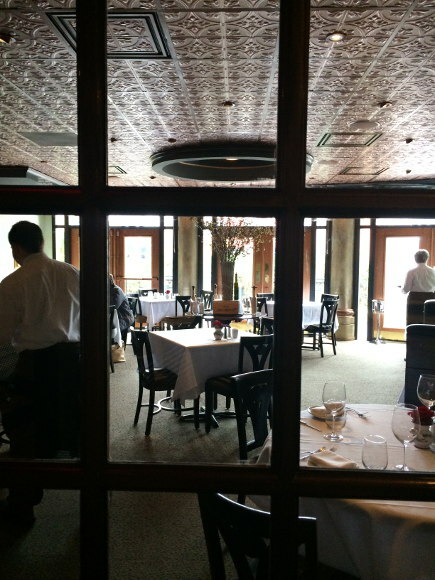 Once inside, you’ll appreciate the understated charm and simple decor with a hint of Italian. 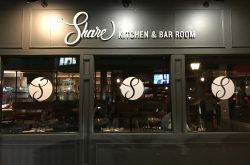 A comfortable bar space with adjoining tables, and a spacious dining room can accommodate a nice crowd. Dark wood, white table cloths, sensual lighting and a handsome stamped tin ceiling work together to create an intimate atmosphere. 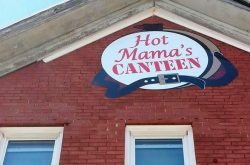 The restaurant has evolved since the early days. 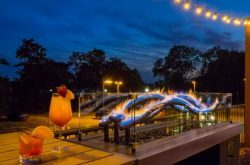 The food changed from a traditional Italian-American menu to more authentic Italian inspired. They’ve added a brick oven for pizza as well as some of their other menu items. 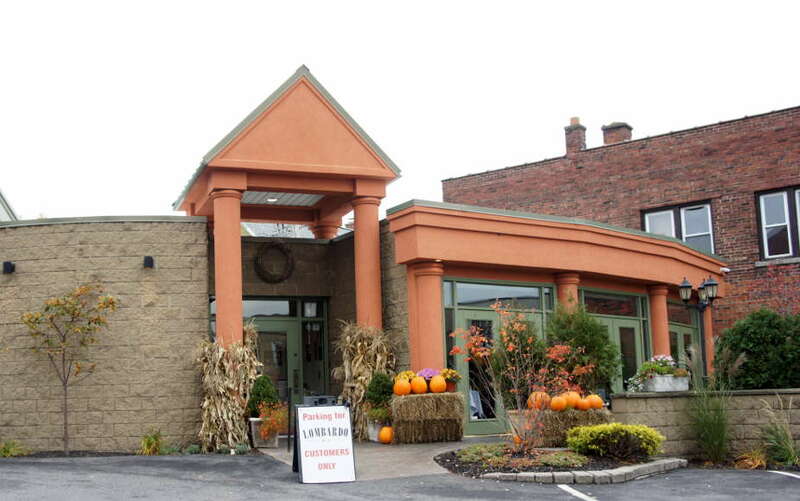 Like most successful businesses I suspect, what’s made Ristorante Lombardo one the of the best in WNY is hard work, attention to detail, and a love of customer. Our evening started off with three cocktails and a beer. 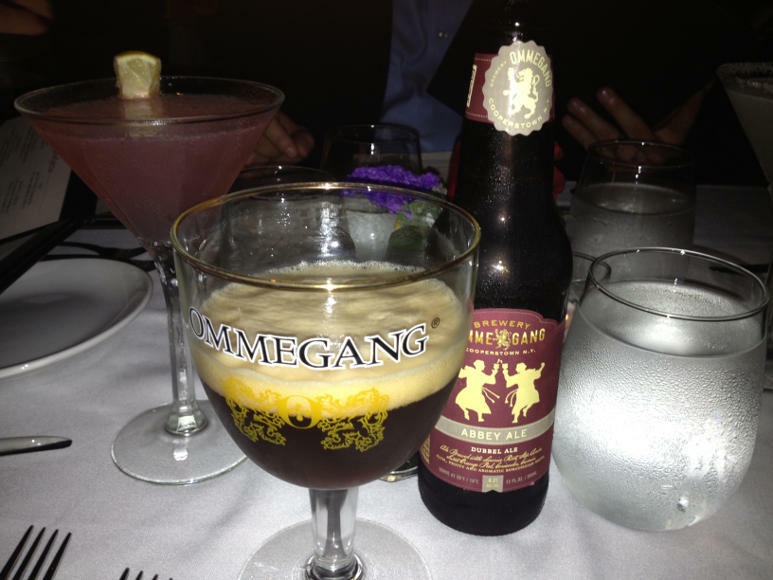 The beer was an Ommegang Abbey Ale that I couldn’t resist. For cocktails we went with a couple martini’s and a Honey Pig. 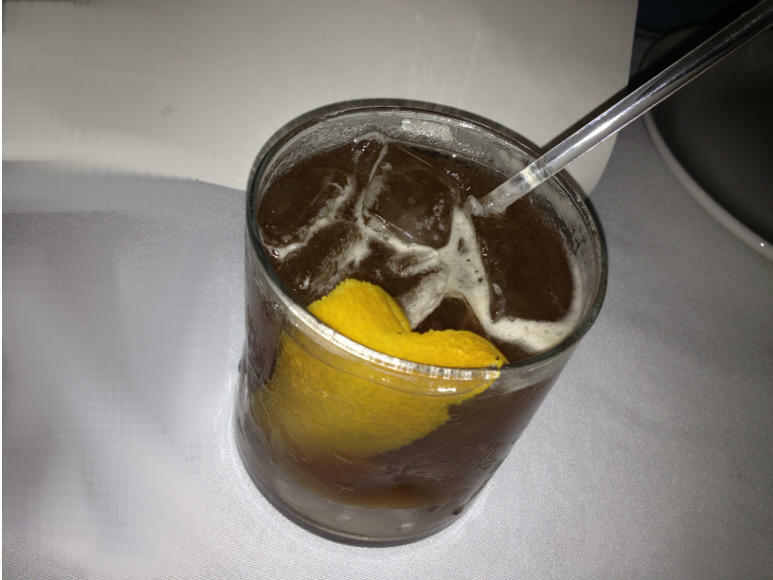 No, not a dancer, the Honey Pig is bacon bourbon, black pepper, infused honey, and lemon – $10. Smooth and with just a hint of bacon this was an easy choice for the blue ribbon. The beers are all by the bottle. Roughly a dozen well thought-out options cover a nice range of styles and nationalities. 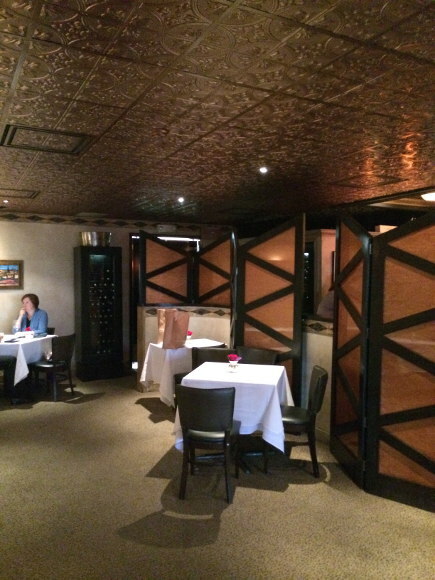 The wine menu is extensive, heavy on Italian, with a good selection of others. Unless your very well versed, or you have the latest app., you might want to do your homework before you go. In my mind what sets Lombardo’s on the top of the heap is the total package, the “dining experience”. Don’t get me wrong, the food is great, but the service is consistently outstanding. It’s almost like going to a show. Sit back and watch the symphony of well orchestrated servers. They just get it. In our case – one of the Toms called that afternoon to confirm the reservation. We showed up 5 minutes early on a busy Saturday night and were seated immediately. One of our cocktails was not to our tasting, and they removed it from the table and the bill- no questions asked. Our waiter was attentive, friendly and knowledgeable. He knew everything about the drinks, the menu, the specials and helped pick out a bottle of wine without breaking the bank. With that said it always comes down to the food. Lombardo’s may be a bit less edgy that some of the newer joints in town, but they’re still creative with their northern Italian inspirations. I’d heartily recommend any of these. 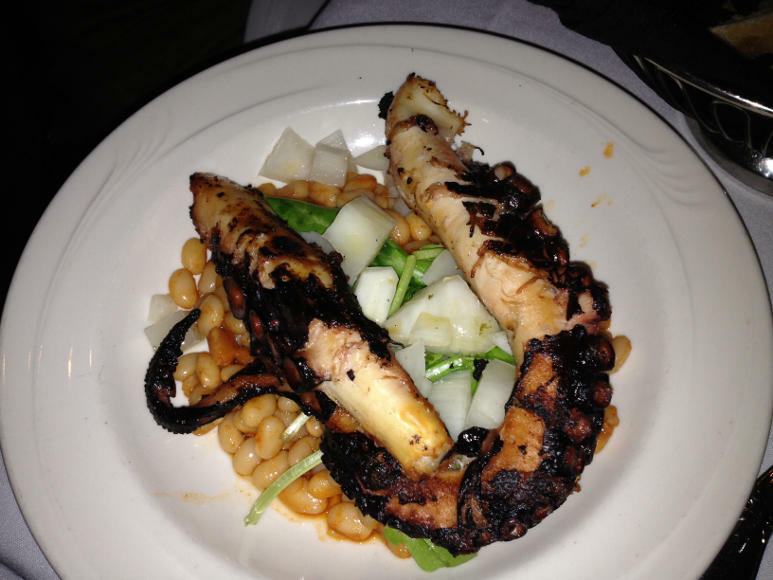 The grilled octopus had an oddly pleasing meaty texture that was beautifully complimented by the beans, fennel and arugula. 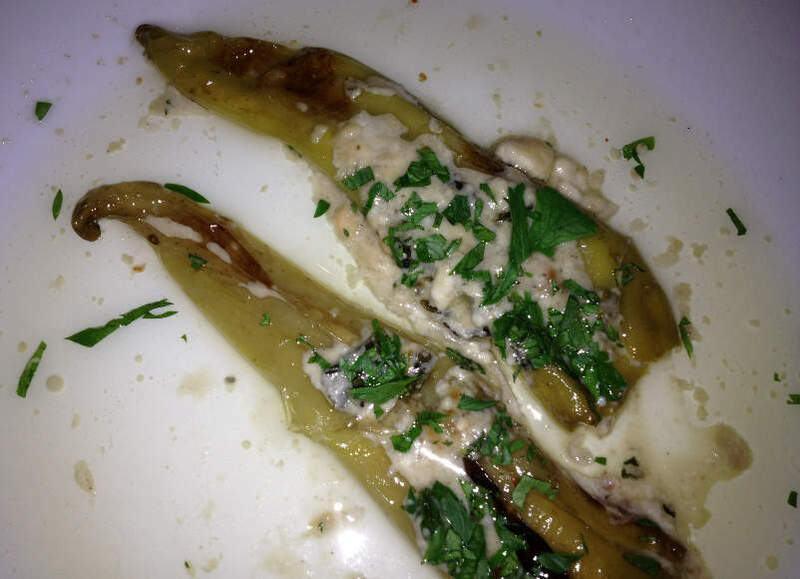 I loved the different style of stuffed banana peppers with gorgonzola and anchovy. The anchovy adds some depth to an already rich filling without being fishy. 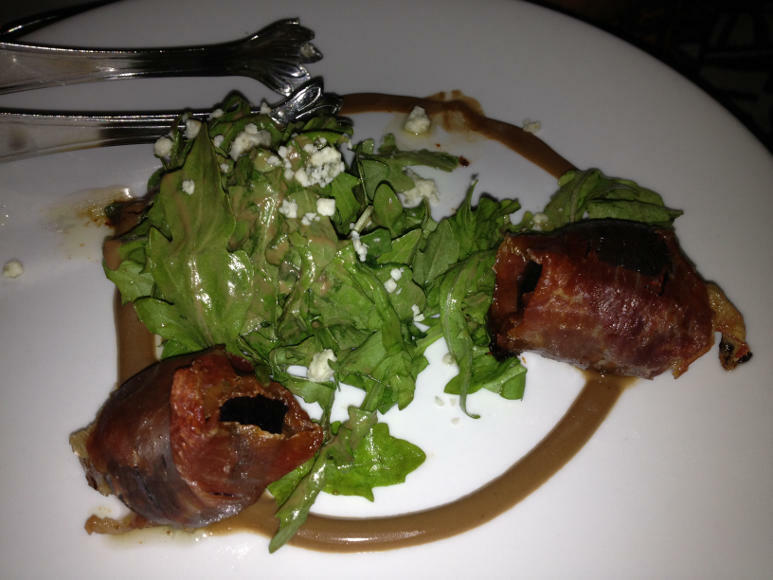 As good as the first two were, the winner of the group in my opinion was the Wood Roasted Figs. The ying and yang of flavors and textures from sweet to savory, crisp to creamy – heavenly. I could eat these every day. Caesar Salad For Two – prepared table side $18. Accommodating as always, they made this a Caesar for four at no extra charge. While not quite as exciting as the World Series it is a neat tradition, and fun to watch your waiter put it together. The salad was top notch to boot – a nice light dressing that did not go over the top in garlic or parmesan. 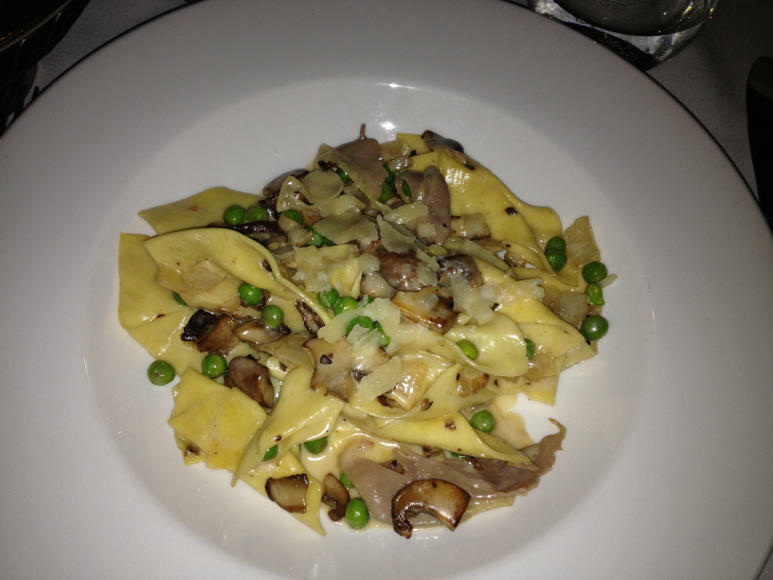 There is just something about fresh house-made pasta. 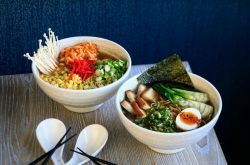 Is it the flavor, the texture, the different varieties and shapes? Maybe fresh eggs, or a special flour? I’ve read where some places toast the flour first. Not sure, but I can tell you this was fantastic. 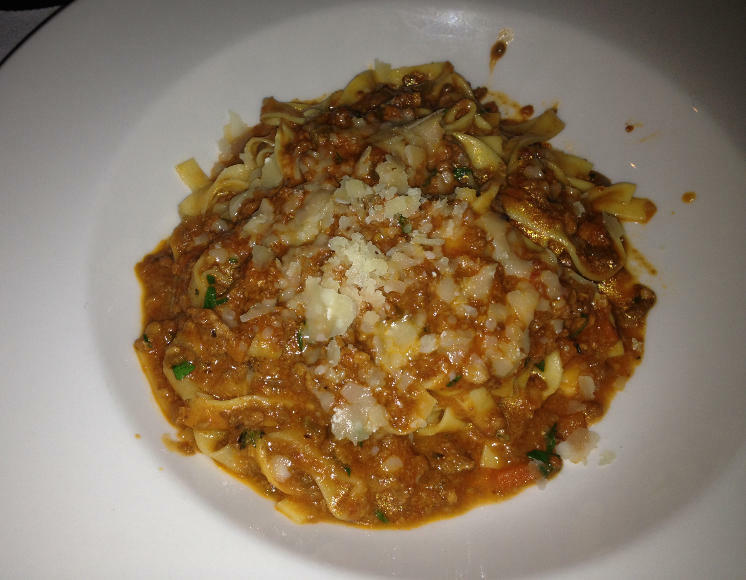 While quality Bolognese has become somewhat commonplace, this was as good as I’ve had around town. Of course, there was one Italian at the table (actually his wife) who claimed his was better- but isn’t there always. 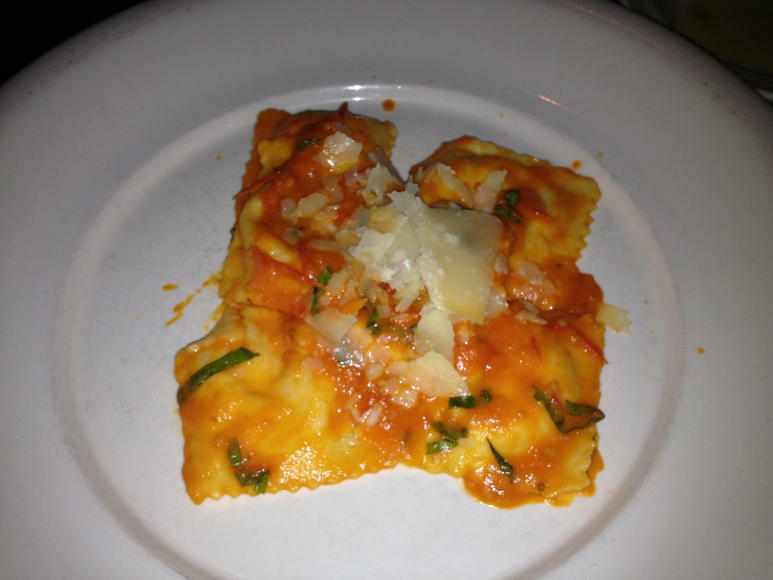 The lobster ravioli is a nice combination of flavors, pretty light in the filling with a hint of lobster flavor. My personal favorite was the Fazzoletti e Prosciutto. Fazzoletti is known as the handkerchief pasta. The prosciutto is a house-made duck prosciutto (see Lombardo’s how to video below). These random sheets of goodness delivered a team of flavors that finish in perfect harmony. I was instantly love struck. Although it’s been just a few days, I miss it already. 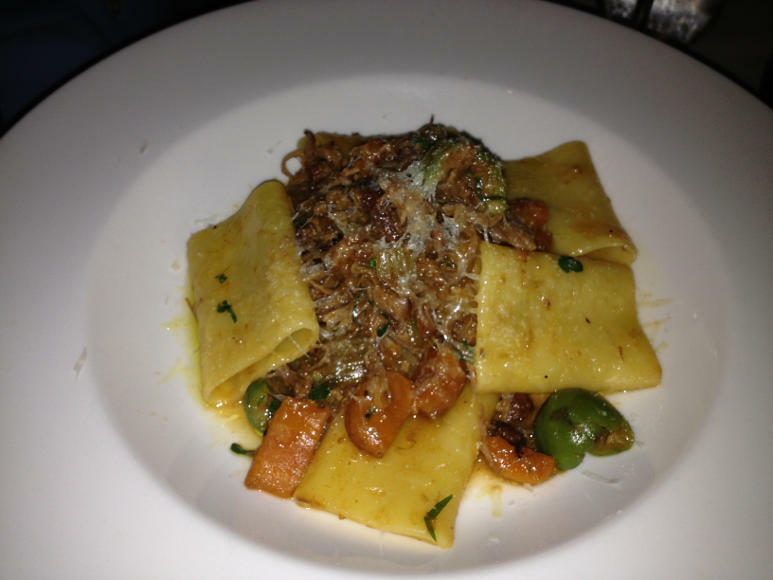 In truth there was some debate at the table that perhaps the Paccheri with Boar was better. It was outstanding with a deep, rich flavor from the boar and the green olives get creative points. We’ll go with a toss-up. With dinner we choose a bottle of San Valentino, (sangiovese, montepulciano, sagrantino) Paolo Bea 2007 – $65.00. Very nice. Nothing but the best here. 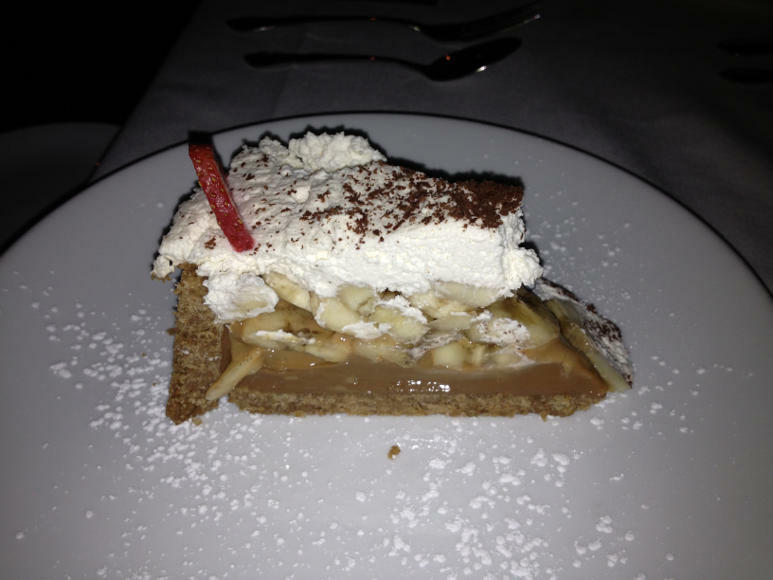 The pie was as good a banana cream as I’ve had in recent memory. 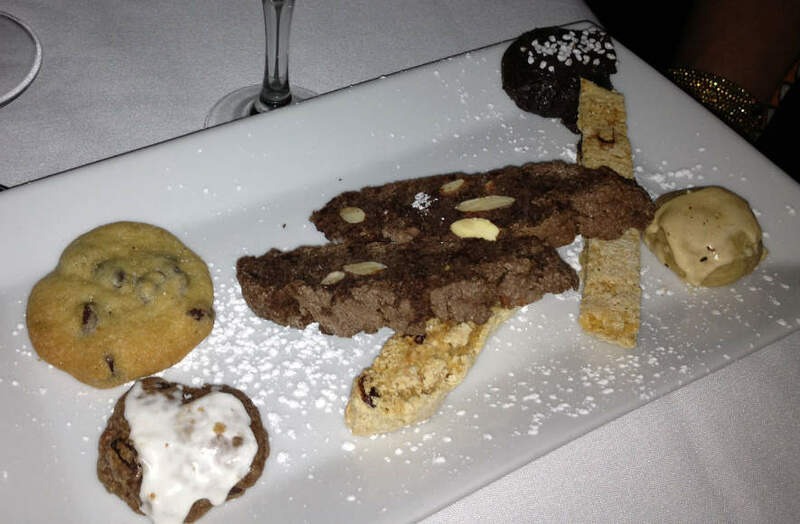 The biscotti ran the gamut from good to excellent. The Cranberry Ginger Pear Cobbler was just really good. Not wanting the evening to end we finished with some Porto, LBV, Fonseca (Portugal) – $8 and the espresso. I know what you’re thinking – either A. this guy is full of it (no comment); or B. Lombardo Ristorante is perfect for a special occasion- birthday, anniversary, Valentines. Why wait? Drop in on a weeknight. You can grab a quick bowl of pasta and a glass of red for about what you’d spend on heartburn at a franchise. Don’t forget about Friday lunch, or the specialty pizzas from the brick oven (takeout $9). I guarantee you won’t be disappointed. Any problems – see Tom, he’ll make it right.